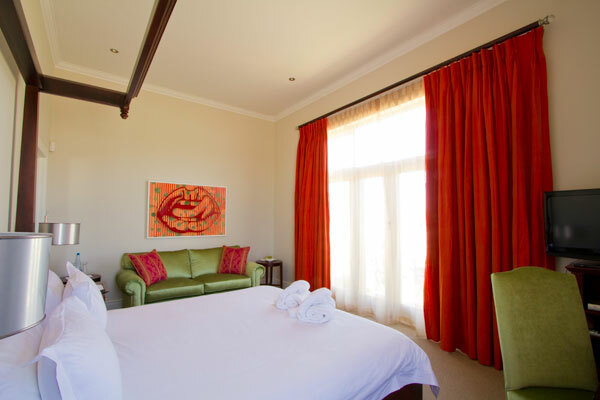 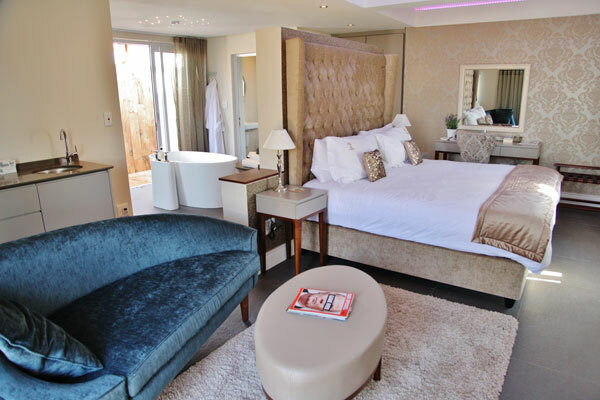 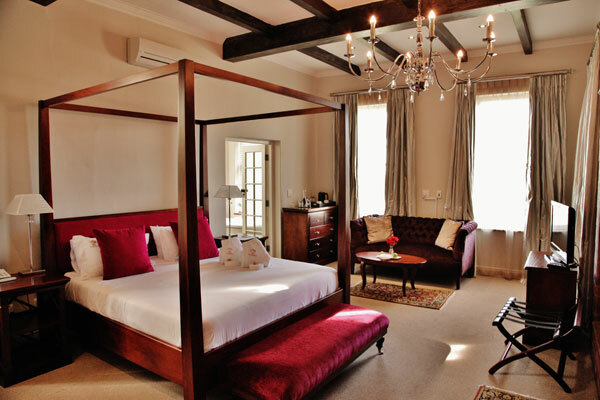 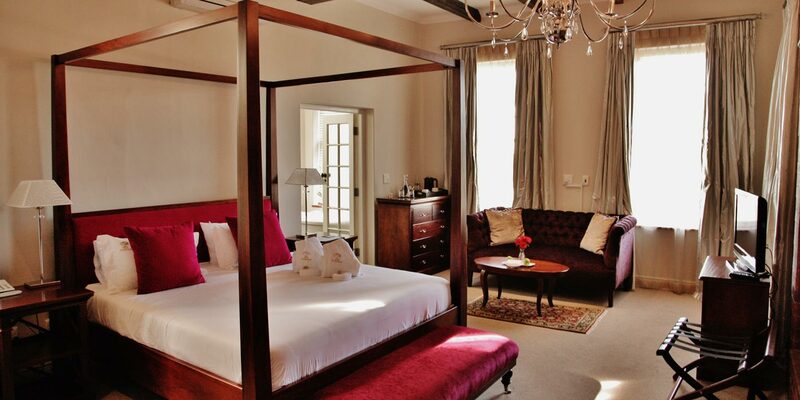 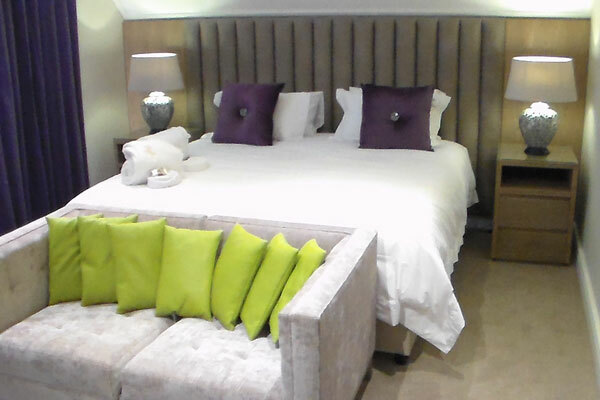 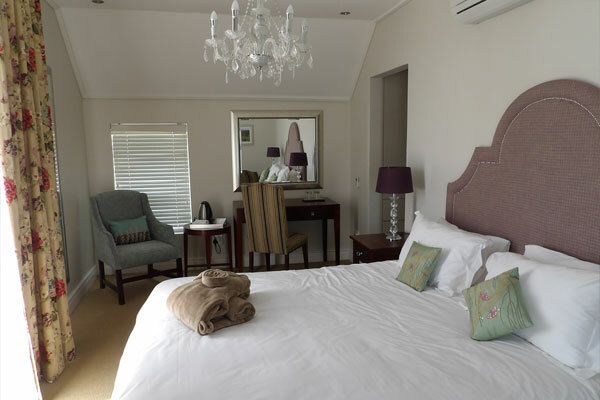 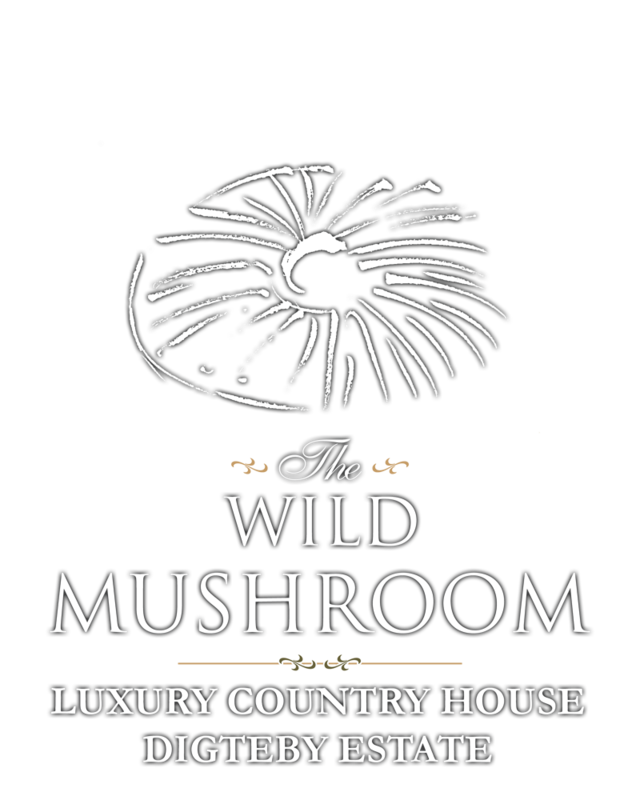 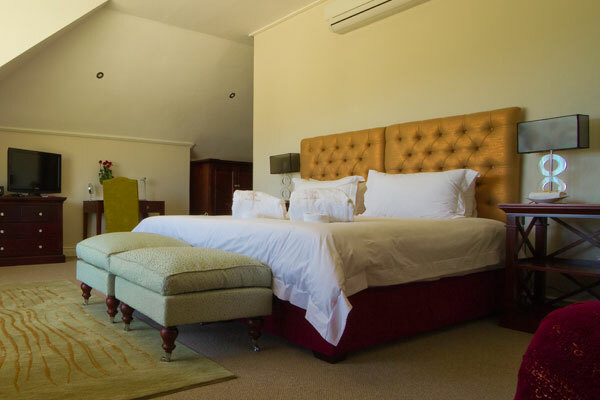 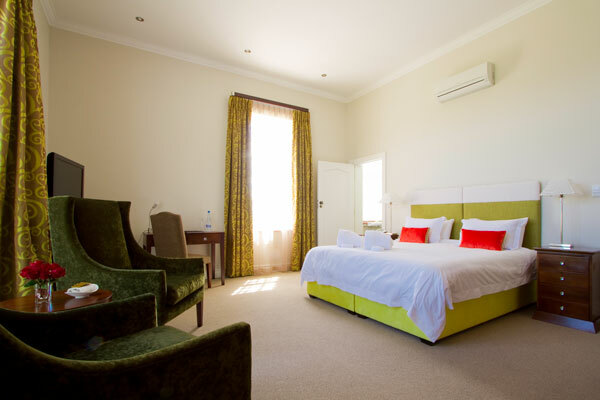 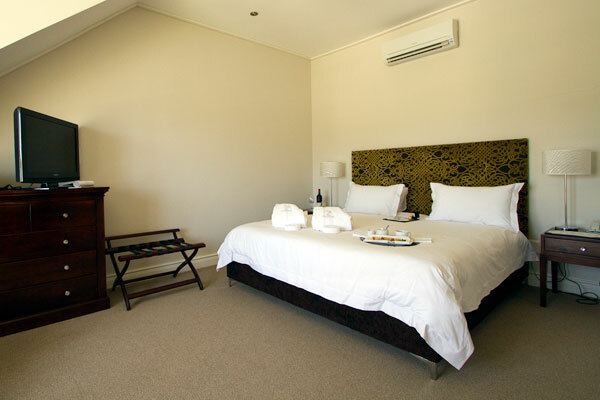 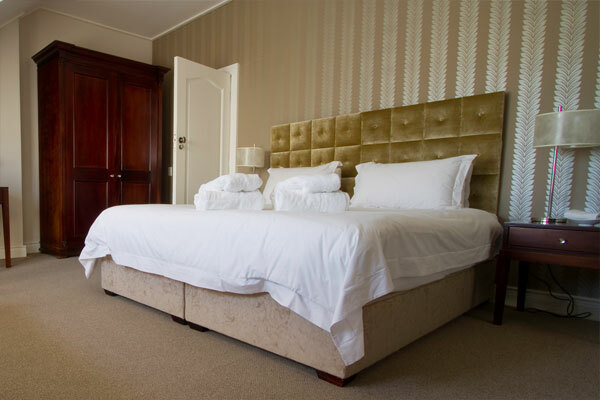 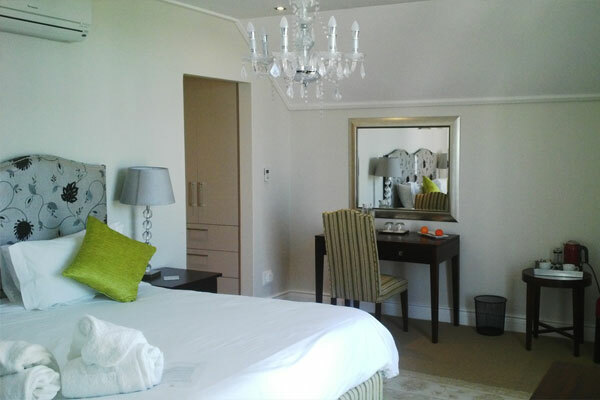 This spacious 5 Star Accommodation in Stellenbosch was the lounge and sunroom in the original manor house. 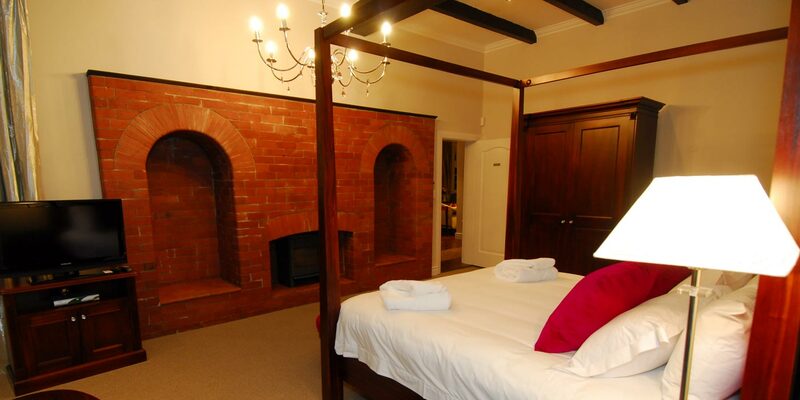 The huge fireplace is equipped with a little wood stove, which creates a pleasant atmosphere in the cold winter months. 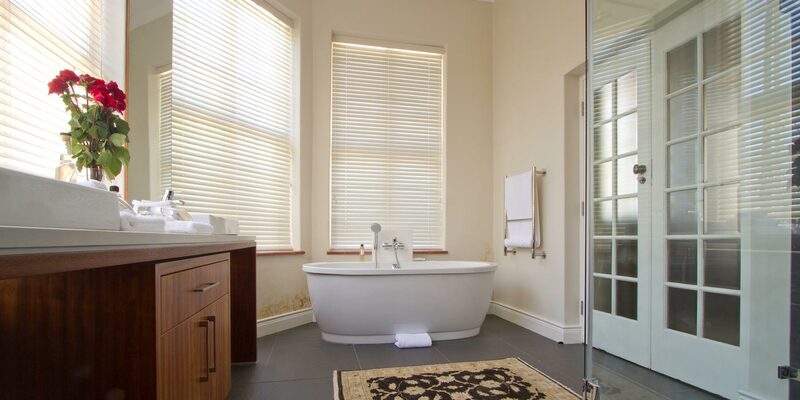 An outer door gives direct access to a private patio. 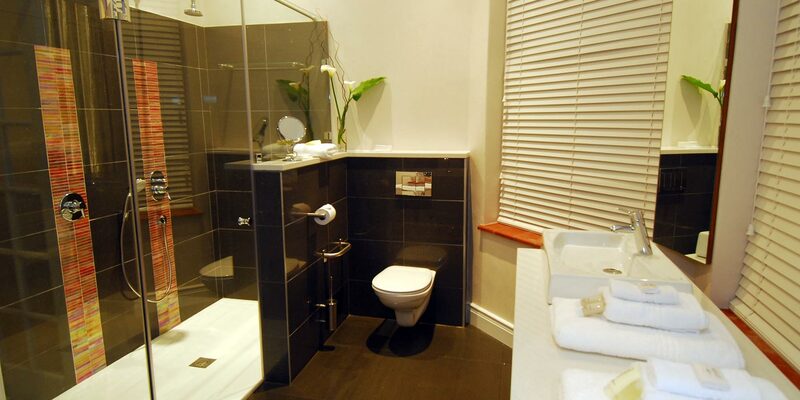 The sunny bathroom is equipped with a stand-alone bath and a double shower and washbasins.